I’ve had a lot of people ask me recently when Aspire: A Fairytale is coming out. First of all, let me tell you THANK YOU. Thank you for reading the Fairytale Trilogy. Thank you for caring so much about Alex, Becca, and Lilia and wanting to read Lilia’s story. Here is where I’m brutally honest for a few minutes about life and general related life crap: 2014 was pretty hard for me. In fact, a year ago today I left my verbally and emotionally abusive marriage and have been locked in a rather nasty divorce and custody battle since. This has made making time for writing really hard…and having the emotional stamina to write even harder. I want to apologize to all of the readers that were expecting Aspire to come out in Fall of 2014, that was my hope and I should definitely have been more forthcoming with time changes when I knew I couldn’t make that deadline. Here’s the good news: Aspire is underway and I have a new set of dates. I am super excited about getting to wrap up the story of these three awesome friends. 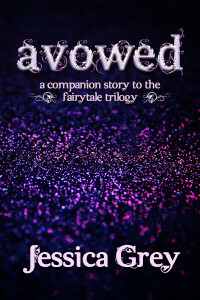 February 1 – Sneak peek of the first chapter of Aspire: A Fairytale will debut here and on the Fairytale Trilogy site. March 15 – Cover reveal! May 19 – Aspire: A Fairytale releases. Again, thank you all so much for your continued interest in Lilia’s story and for your support.